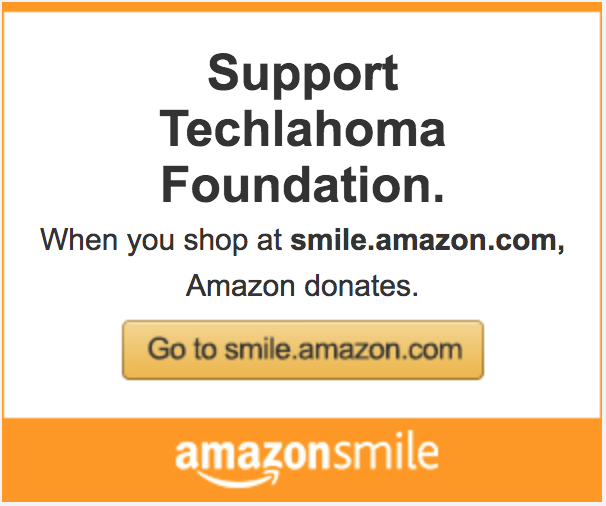 If you like our mission of making tech training accessible to all Oklahomans check out these ways to give back and support Techlahoma. Use our charity link when shopping on Amazon.com. 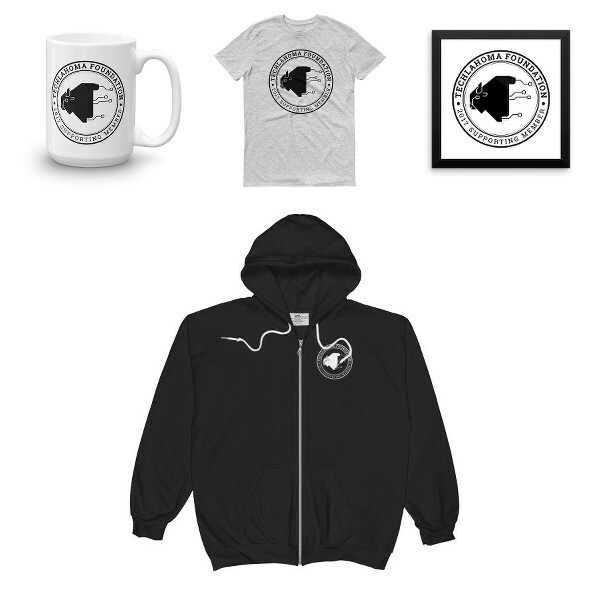 Get members-only gifts like mugs, t-shirts, stickers, and hoodies. Give $8, $16, $32 or more each month. Or just give what you can with a one-time-only donation. 1) Speak or Volunteer for Groups, Events, and Conferences. 2) Retweet and share our social media posts. 3) Join our Slack Channel or Meetup.com Groups. 4) Play our Twitch.tv or Youtube videos. 5) Make issues or pull requests for our github repos.